The login above is primarily for NON-MEMBERS of TRA to manage their Touch subscription or trial copy accounts, but may be used by members who have ordered extra copies. This is NOT a login to the TRA website. 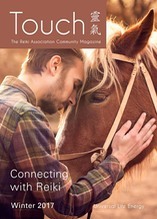 Touch Magazine is published quarterly and contains a wealth of Reiki stories and news of events from the UK and across the world. 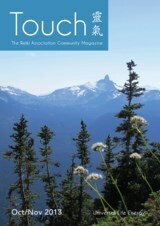 First published in 1992, Touch has grown from a simple black-and-white newsletter to a full-colour professionally produced Magazine. The magazine features cutting edge 'Reiki in the world' articles and home-grown 'personal stories' where practitioners and Masters share some of their toughest moments and the amazing outcomes of using Reiki to facilitate their lives. There is also a featured Artist spread, book reviews, letters page or Q&A, and a rotating host of Senior Reiki Master columnists from the Usui Shiki Ryoho system. Each member of The Reiki Association receives a copy of Touch Magazine along with a quarterly newsletter keeping them up to date with member-relevant news. Touch Magazine is also available on subscription for anyone anywhere in the world who has an interest in Reiki ~ You can sign up using the links on this page. Touch is sent to 16 countries across the world and has a growing readership of approximately 1500 making it an ideal place to advertise Reiki related merchandise, services, and related workshops. Please email your stories to the Editor. All submissions will be edited and printed at the discretion of the Touch Team. 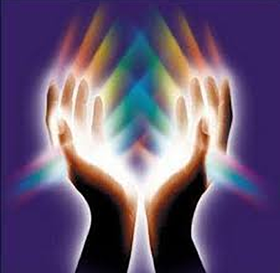 Be aware of what is happening with Reiki in the UK and around the world! Subscribe NOW or, JOIN THE REIKI ASSOCIATION, AND RECEIVE THIS MAGAZINE included in your subscription. Join TRA today and get Touch Magazine included!